Kiwis are still borrowing up large and pumping the money into houses - despite the onset of new Government and Reserve Bank rules aimed at cooling such behaviour. The latest figures, collected by the Reserve Bank, show that total household claims for October - which is mainly mortgage borrowing - increased by a seasonally adjusted 0.7%. That's the same rate of growth that occurred in September - but the last time the monthly borrowing grew at a faster rate was in February 2008 at the tail end of the last housing boom. The annual growth rate in the borrowing was 6.9%, which was the highest since August 2008. In terms of pure mortgage borrowing, the latest figures were even slightly higher, with the total amount borrowed for housing having risen by 7.2%, which was also the highest rate since that recorded in August 2008. In dollar terms the amount borrowed for houses has risen by nearly $14 billion in the past 12 months. The figures will likely be of concern to the RBNZ, which has been moving to ensure that household debt doesn't grow too fast and to too greater levels. The new figures came in the month after new IRD rules took effect on overseas residential property investors, and just before the November 1 introduction of new Reserve Bank restrictions on bank lending to Auckland property investors. And while the RBNZ new rules obviously weren't officially in operation in October, banks had anecdotally been moving to apply the new 70% LVR limit on loans to property investors ahead of the start date. Therefore market observers had expected that the October figures might show some lessening in the pace of borrowing. Looking at the detail, as at the end of October total household claims stood at these stood at $224.260 billion, up from $222.703 billion in September. The total mortgages figure stood at $208.932 billion, up from $207.446 billion in September. Agricultural borrowing, which has also been rising strongly, took something of a breather - with the total borrowed standing at $58.706 billion at the end of October. That was up from $58.558 billion in September, but the annual rate of growth dipped a little to 9% from 9.2% the previous month. Business borrowing continues to be extremely volatile from month to month. As at the end of October the total borrowed stood at $88.641 billion - a rise of over $1.5 billion on the $87.102 billion in September - but the annual growth rate remained the same at 6.1%. Meanwhile, new detailed mortgage lending figures for October also separately released by the RBNZ today show that borrowers, while still preferring to fix mortgage rates, are going in droves for shorter terms. This would suggest a growing conviction/understanding that low interest rates are going to be around for some time to come yet. In October the total amount of mortgage money outstanding on floating rates was reasonably static at a little under $52.6 billion. However, the amount on fixed rates of just up to a year duration surged to nearly $70.3 billion from just $66.6 billion a month earlier. At the same time the amounts outstanding on 1-3 year terms dropped sharply. The amount specifically on 2-3 year terms has fallen by nearly $9 billion since the start of this calendar year, and stood at just a little over $16.4 billion as at October. Hot summer nights - won't be much sleeping going on in some households with these types of figures. Grant Spencer from the RBNZ still won't be sleeping well either! St. A Real Estate agent told me that people who worry about their mortgages, nowadays, just go to the Doctor and get more pills. The new type of slavery: voluntary and justified with the over optimistic expectation of a profit in the long term. People outbidding each other to pay the most interest to foreign banks. It reminds me of the run up to the 1987 stock market crash. The risk is low while the OCR or bank lending rates stay the same or drop. Once growth picks up over the next 2-3 years those interest rates are going to increase. All those houses bought on today's interest rates are going to get very expensive, or worse if the bubble bursts. It's been quite a while since we've heard the banks mantra of 'quick, fix, before rates go up"'. Are borrowers no longer believing that line? Most big banks are forecasting OCR drops in region of 25-75 basis points. Current advise is usually fix for shorter terms to take advantage of lower rates available soon. Actually, Kiwis are shifting to fixing. The latest data released yesterday shows that the level of fixed mortgages are at their highest level in six years. Borrowers do believe, it seems. And mainly because floating rates are very high, they have no choice. They are not fixing to hedge against future rate rises. Two years ago (Oct-13), 46% of all fixing was for 2yrs and longer. Today that is up to 56%. If you look at 3yrs and longer the rise is from 13% to 15%. Fixed some yesterday. Because it was cheap over six months. Definitely I was not seeking certainty in case of change. I was simply seeking cheap. It would be useful to know what was pure owner occupied residential debt v residential investment debt. 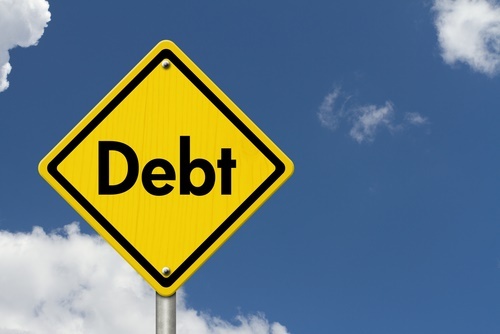 With thousands of Mum and Dad residential investors as well as serious property investors, there must be many millions of dollars in residential mortgage debt skewing the figures compared to actual homeowners. That unrealised gain from your home going up in value , could easily become like Scotch Mist. Borrowing against an unrealised gain in the value of your home to spend on discretionary , depreciating or consumable items is not just dumb but downright D-A-N-G-E-R-O-U-S.
KH - I am still looking at fix vs floating. Spoke to my mate Cairnsy the other day and he said he would fix it. If you need security and certainty - fix it for as long as you need that sureness. As for timing the market to get the best rate. It's a lottery, crystal ball etc etc. Lotteries pay off sometimes. But's its random. Anybody who tells you they know which way rates will trend. Is telling fibs.